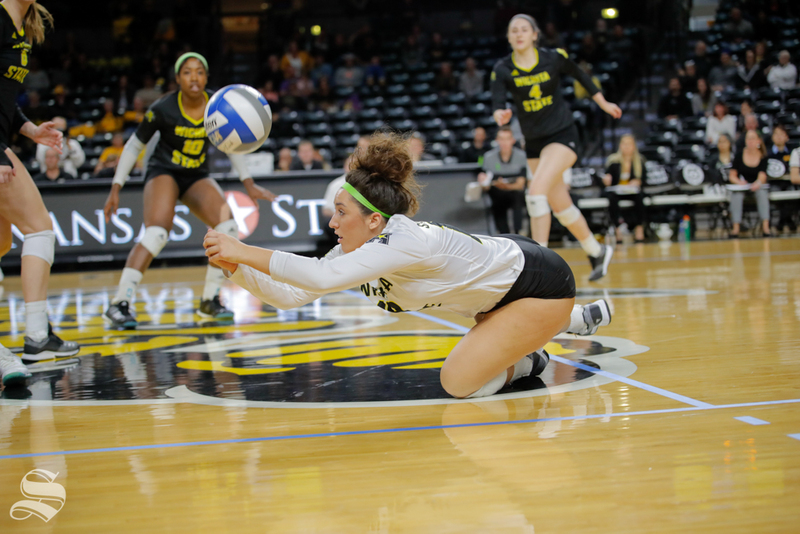 Wichita State libero Giorgia Civita dives for a ball during their game against SMU on Nov. 11, 2018 at Koch Arena. 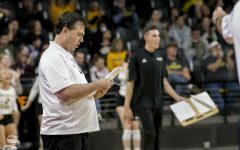 Wichita State volleyball’s season is over. 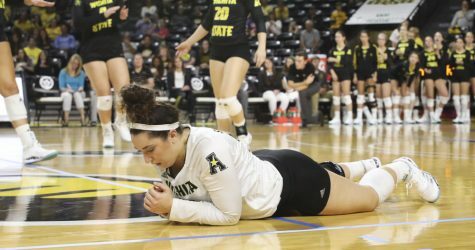 The Shockers lost the second game of the National Volleyball Invitational Championship on Friday. North Texas defeated WSU in four sets. The two teams met three times this season. 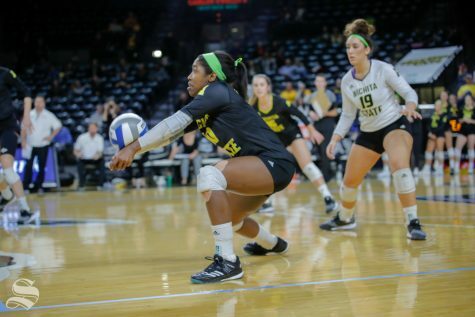 At North Texas, WSU won in three sets. At WSU, North Texas won in four sets. Wichita State senior Tabitha Brown returns the ball during their game against SMU on Nov. 11, 2018 at Koch Arena. WSU finished its season with a 14-18 record. For the first time in 15 seasons, the team failed to reach 20 wins. The Shockers played in the NVIC for the first time in program history. The team missed the NCAA Tournament for the first time since 2014.